Pastor Randy has been asked to say a blessing at tihs event that brings awareness a light to the dark subject of suicide. 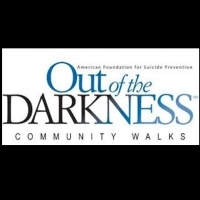 Youth from both Chugiak and Eagle River High will be raising funds and awareness with this walk in our community. Suicide has a much higher impact that most people realize and people need encouragement and support. Pray for Pastor Randy has he strives to play a small role in bring the light of Jesus to this struggle.